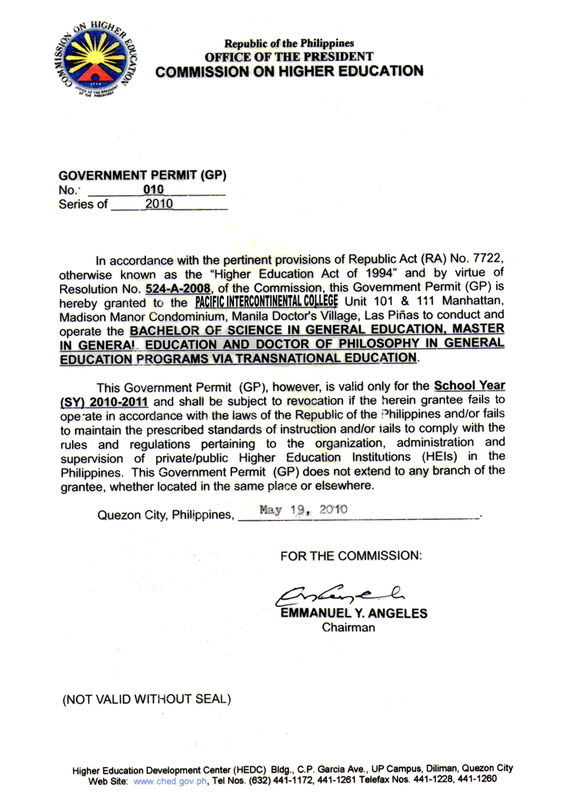 Likewise, the PIC is now duly authorized to conduct and operate Bachelor of Science in General Education degree program pursuant to Government Permit No. 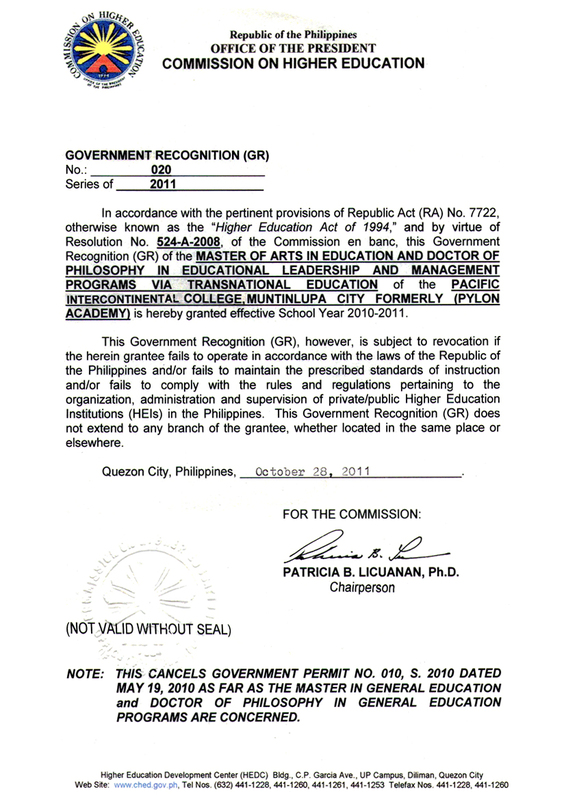 010, Series 2010 and Commission on Higher Education (CHED) confirmation dated June 18, 2012. 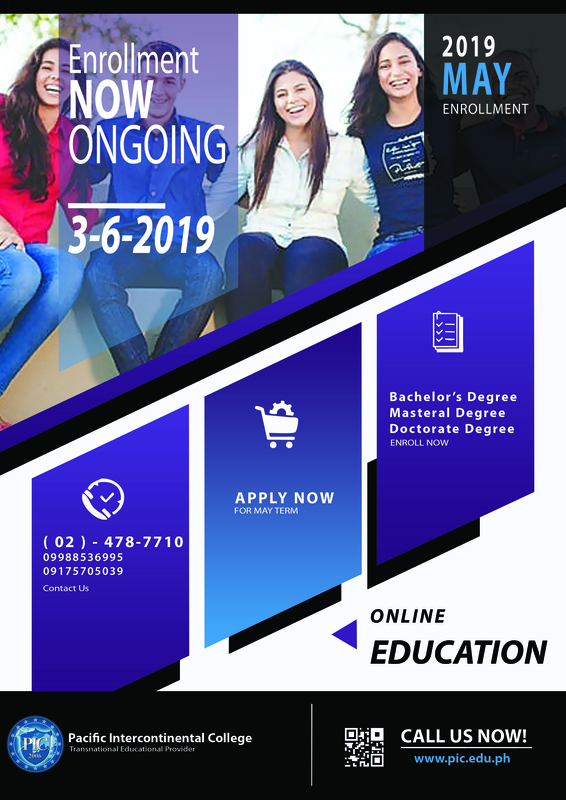 For graduate programs, PIC is also duly authorized to conduct and operate the Master of Arts in Education and Doctor of Philosophy in Educational Leadership and Management degree programs via Transnational Education pursuant to its Government Recognition No. 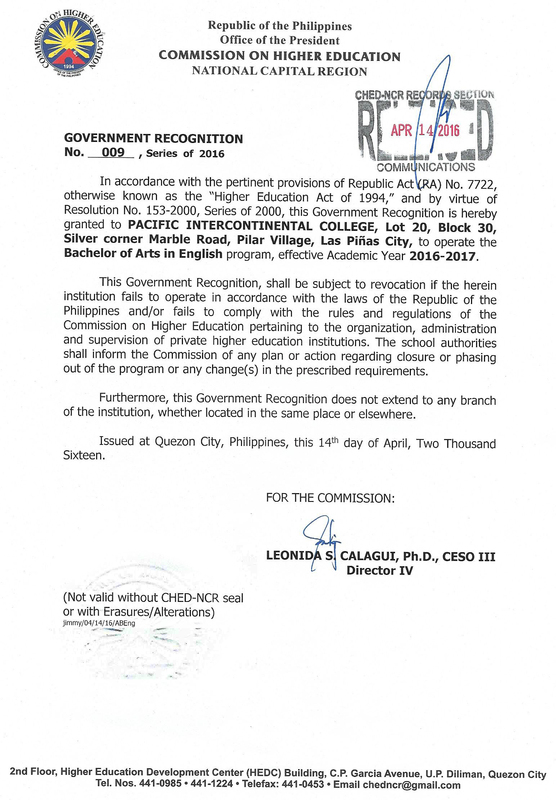 020, Series 2011, issued by the Commission on Higher Education (CHED) under its Unique Institutional Identifier: 13388. 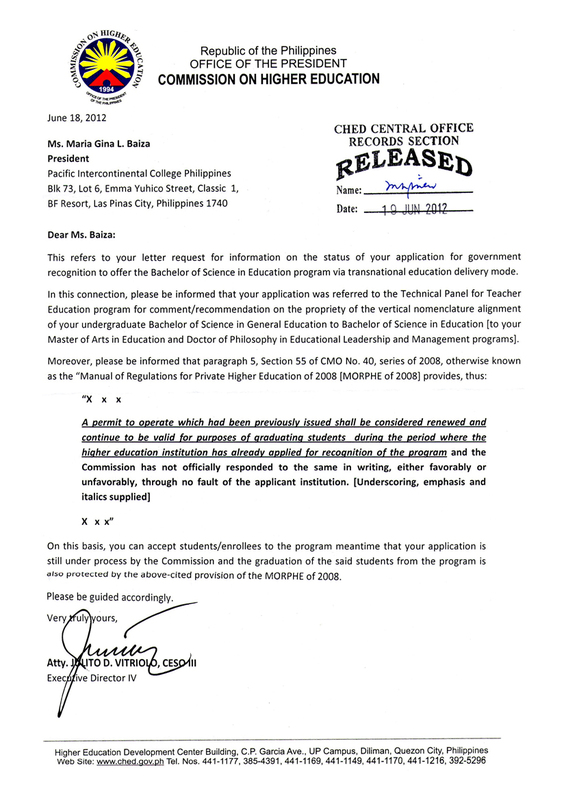 Additionally, a Certification for Undergraduate and Graduate main program and program major(s) was issued by CHED- NCR, Dir. Leonida S. Calagui for public information. 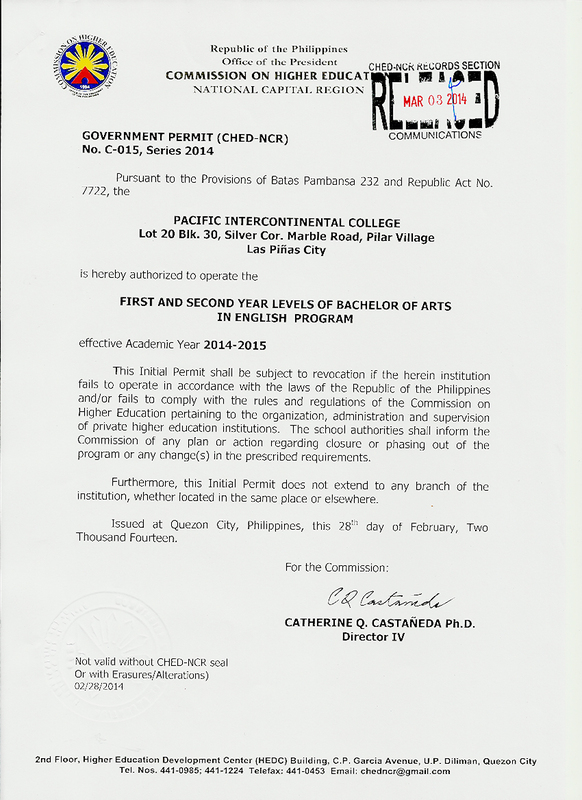 PIC is also authorized to offer Bachelor of Arts in English program pursuant to Government Permit (CHED- NCR) No. 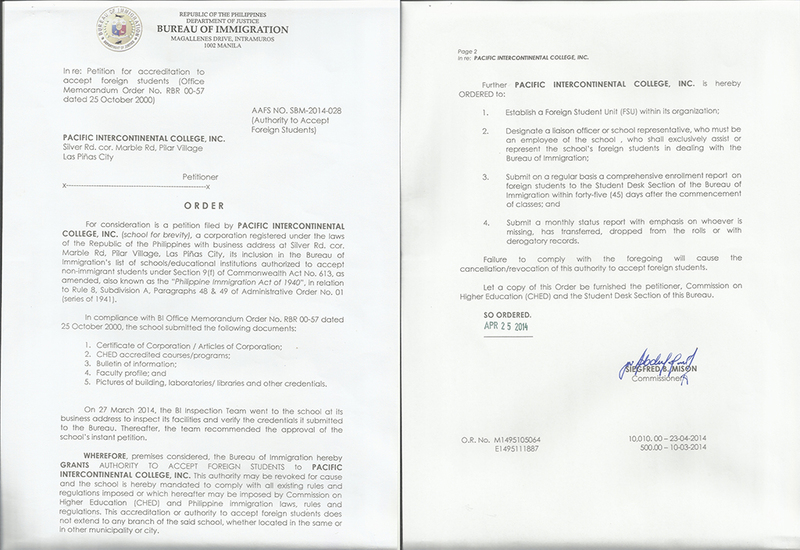 C-015, Series 2014 and Government Recognition (CHED- NCR) No. 009, Series 2016. PIC-USA, one of allied institutions in consortium with PIC Philippines, etc. 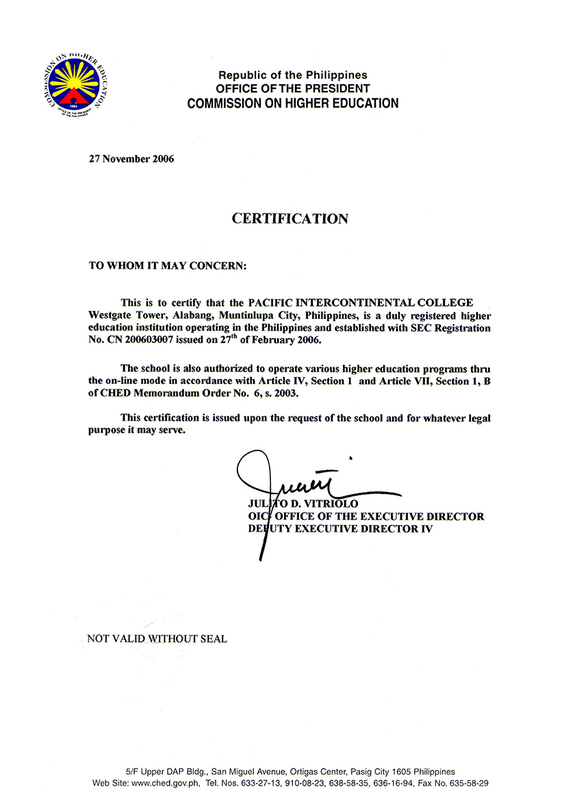 for Consortium Courses, is authorized, licensed, and registered by the United States government to operate elementary to higher educational institution on a web basis since 2002. PIC-USA operates independently from PIC Philippines and runs legitimately as per governmental law in which it is registered. Finally, PIC is authorized to accept international students in accordance with AAFS No. SBM-2014-028.